I wanted to use my barbecue but the weather was too crappy and I ended up pan-frying the lobster tails and shrimp after stuffing a herbed garlic butter inside the shells. In the above picture you can see my plate after I removed the meat and mixed it into my pasta. 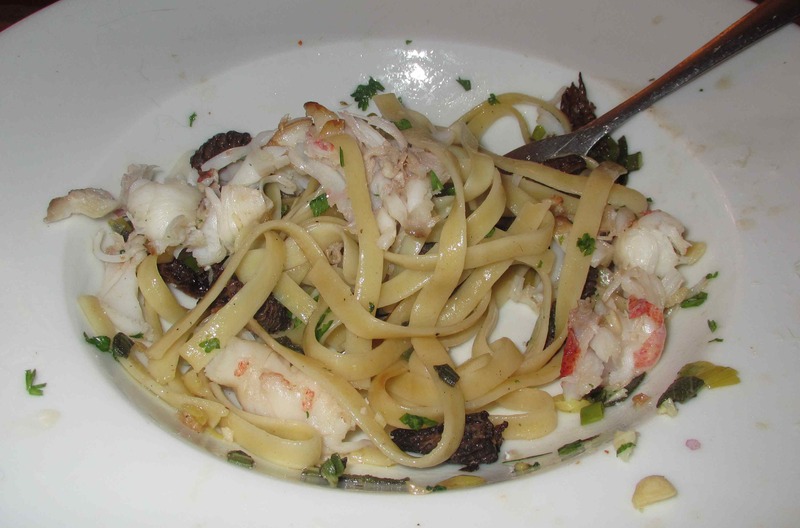 The pasta was basically fettuccine tossed with sautéed morels and a little truffle oil. I shared quite a few pictures of Kimmirut in my previous post but, after finally getting away, I managed to snap a few photographs from the air. In this picture you can see the ‘heel’ shaped rock sitting in the harbor that I photographed from ground level a few days before. And… here you can see pretty much the whole town. Iqaluit lies about 100km or so in the direction shown in this view. In keeping with the premise of this being a post about nothing in particular, I am sharing this picture of a rabbit I stuffed for no other reason than I was inordinately proud of my sewing job. 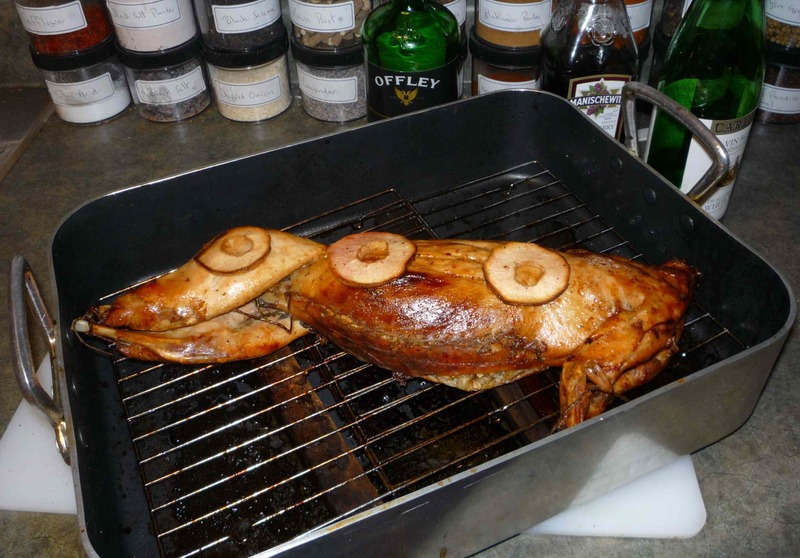 This is what the rabbit looked like when it was done. It was, I have to say, a lovely meal. I have been keeping my eye out for rabbit to appear in our stores again as I really want to cook up a paella with rabbit and snails for you… no luck lately, though. As I have mentioned, I have been really looking forward to using the new barbecue my wife bought for me but it has been windy for days. A little weather doesn’t put of a true barbecue aficionado, as you can see in the above picture (taken at our old house a few years ago) but right now it would be impossible to keep a flame going. I really hope we get a bit of a break soon because I am very conscious that we are fast running out of summer. Well, I am going to close out this rather aimless post with this picture, which was taken as a follow up to the previous one. As you can see, there are always food critics around when you don’t need them… Little White Kitty (LWK), wasn’t around to help with the cooking but she is always seems to be around when it comes time for eating. 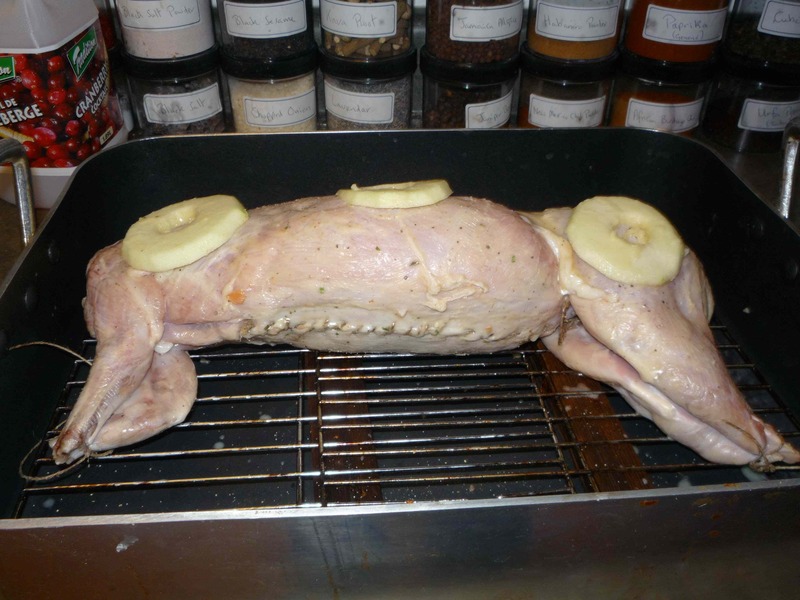 very interesting.. i haven’t tasted or eaten rabbit meat yet, but by the looks of it, your stuffed meat looks yummy.. Wonderful work with the needle….inspiring! This looks delicious. 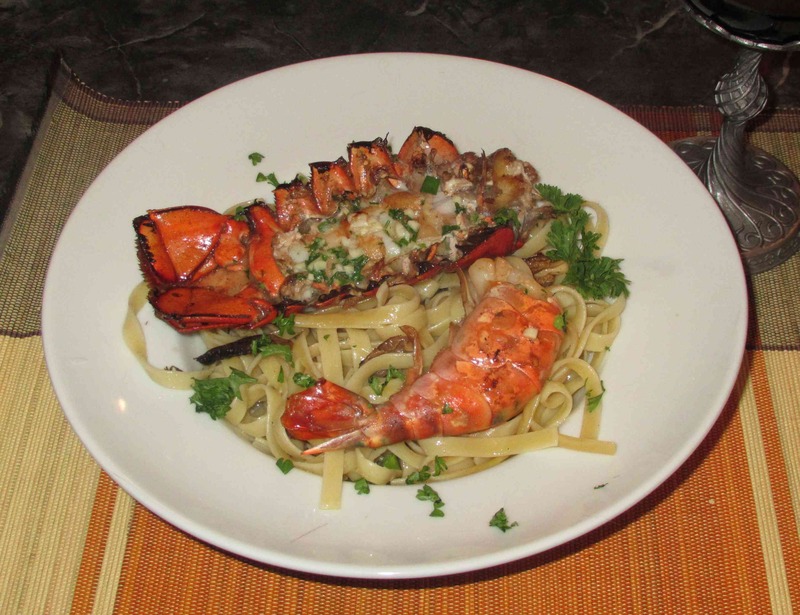 A perfect dish for your wife’s birthday with fettuccine. She must have loved it! The rabbit looked good too! I have been thinking about preparing lobster for awhile. Most definitely on my list now. I have never eaten rabbit! But it looked very good! Just love the photo of you with BBQ and umbrella-there’s optimism for you!! And your stuffed rabbit looks divine. That *is* a very impressive sewing job! And I love how cats are just allowed to beg because what are you going to do? My dog has to patiently wait while we eat, but the cat will just come straight up and try to paw food off your fork.